This occurs when Pay Items are not setup properly inside of SuccessWare21's Reference Library. *NOTE* - As each company sets things up slightly differently, we highly suggest reaching out to SuccessWare21's support team for and specific questions regarding this. 1. 21 icon in the upper left-hand corner. 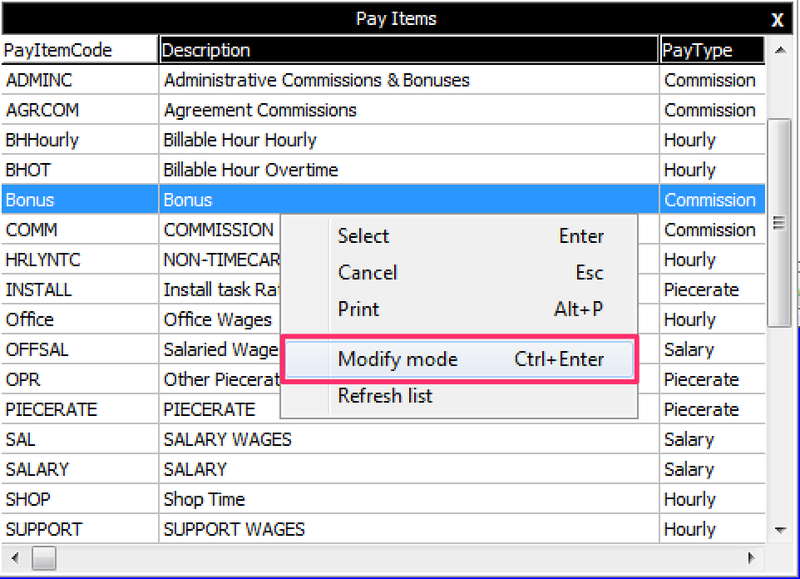 To modify the Pay Item's settings, you can right click, and select Modify Mode. Timecard Status' can rely on Pay Items. You can modify the Timecard Status' through the Reference Library as well. Right click and select Modify Mode. 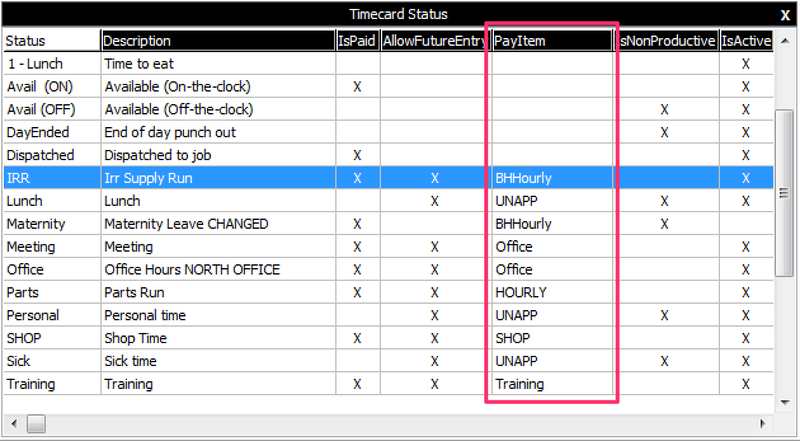 You'll see that Timecard Status' can have a Pay Item linked to it. If you're running into this error, you may have a Pay Item linked to a Timecard Status that has been removed.